The Post’s Rachel Weiner has an interesting story today about Donna Edwards and her persistent struggles with fundraising in the Senate race. Rep. Donna F. Edwards (D) wants to make history as the first black female senator from Maryland. 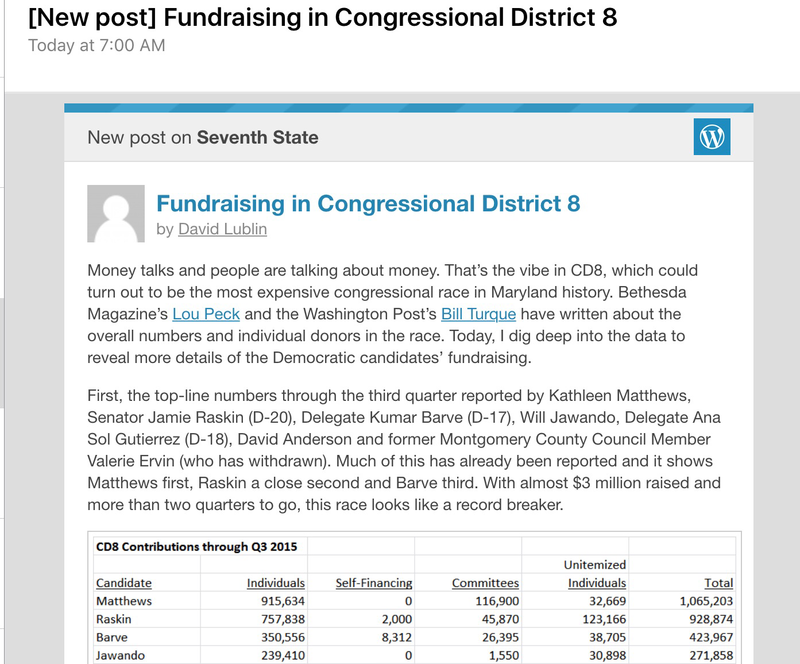 But she is struggling to find the money to compete with her primary rival, Rep. Chris Van Hollen, whose connections with donors in the state and nationwide have helped him build a formidable war chest. By the end of September, Van Hollen, whose congressional district is based in Montgomery County, had $4.1 million in the bank. Edwards, who represents Prince George’s County and part of Anne Arundel County, had $368,500. The next round of financial disclosures are due Jan. 31. Van Hollen has spent nearly $1 million since October on television advertising in Baltimore, where he and Edwards are not well known. But with less than four months to go until the April 26 primary, Edwards has not aired a single commercial. Campaign finance records suggest that she is struggling to pay staff salaries and come up with money for other basics in her quest to succeed retiring Sen. Barbara A. Mikulski (D). The challenge, according to those who know Edwards, is that during her years in Congress, she has positioned herself as an outsider, bucking the establishment and spending relatively little time building a donor base. That’s true as far as it goes, but being an outsider and being a good fundraiser aren’t in any way as mutually exclusive as the article suggests. Alan Grayson of Florida, surely as much of an establishment-bucking maverick as Edwards, has raised nearly $19 million since 2005. Edwards, on the other hand, has raised far less, approximately $5.4 million, over the same period. It will be interesting to see how the Q4 fundraising reports look. If Edwards doesn’t do better, regardless of what Chris Van Hollen does or doesn’t do, the viability of her campaign to pay staff – forget about ads and mail – will be called into question. Bernie Sanders announced yesterday that he has raised $33 million in the fourth quarter of 2015, all of it for his primary campaign. By comparison, Hillary Clinton raised $37 million for her primary campaign, but also an additional $18 million for the Democratic Party in the general election. Sanders had a very high burn rate for the quarter, spending 96% of what he took in, around $31.7 million. Fairly or unfairly, Sanders’ failure to raise any money at all for the party is a weakness, even given the recent hostilities between the campaign and the DNC. Party stalwarts already viewed the non-Democrat with suspicion, and this information won’t help. Money for the party is ultimately critical in the general election, not just for the nominee but for broader campaign activities as well. This passage won’t help heal the rifts, either. For the year, Clinton raised $112 million to Sanders’ $73 million. Clinton has $38 million in the bank heading into 2016, compared to Sanders’ $28 million. Hillary Clinton’s campaign announced Friday that it raised $55 million in the final fundraising period of 2015, and $112 million in primary-election funds for the year. Clinton brought in $37 million in money specifically for use in the primary during the fourth quarter of 2015. I’m beginning to like this whole Year of the Woman thing. Except for Carly Fiorina’s shameless pandering on the Rose Bowl yesterday, which backfired horribly. Seriously, Clinton raised more money than incumbent Barack Obama in 2012. Think about that. And then gaze in glassy-eyed stupefaction at moron Chris Cillizza’s having awarded Clinton the Worst Year of 2015, along with Jeb Bush. That’s 55 million new reasons why Cillizza is a pathetic joke. I also highly recommend this screed listing by month all the incisive and prescient analysis conducted by Cillizza throughout 2015. What’s even more pathetic is Cillizza’s effort just this week to defend (after a month of savage attacks) his lumping the presumptive Democratic nominee with the latest failed Bush family scion. Another emerging narrative for the New Year: just how much will the Washington Post embarrass itself in 2016? The Bezos Boys are off to a flying start so far. John Fritze has the story of a running gun battle between Donna Edwards and Chris Van Hollen over a fundraiser who used to be a lobbyist in the financial sector, but hasn’t held that position since 2011. Rep. Donna Edwards has for weeks criticized her opponent in Maryland’s Senate race for a fundraiser hosted by a former Wall Street lobbyist, arguing the event underscores Rep. Chris Van Hollen’s relationship with the financial sector. 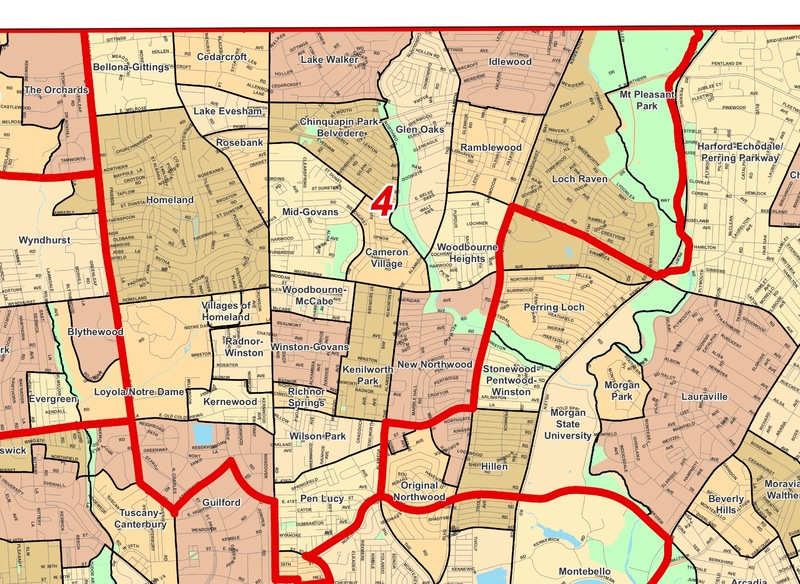 The Van Hollen campaign counters that the former lobbyist, Douglas Lowenstein, and the other hosts of the fundraiser, are involved with the Juvenile Diabetes Research Foundation. The event, the Van Hollen camp says, was intended to support the congressman’s efforts on that disease. “This event was organized by me and three friends, all of whom are linked together by one overriding issue: We or our loved ones have type 1 diabetes,” Lowenstein wrote in a letter released by the Van Hollen campaign Monday. Seems pretty innocuous. But Donna Edwards was having none of it. Hint: when you’re in a hole, stop digging. Edwards appears unconvinced by the argument, which Van Hollen aides made last month in a Washington Post piece that mentioned the dispute. An Edwards spokesman said in a statement in response to Lowenstein’s letter that it is “disappointing” Van Hollen is raising campaign money off of his work on diabetes. “That money should be going to fund diabetes research,” spokesman Ben Gerdes said. Oh, dear lord. Really, Ben Gerdes? You getting paid for that gratuitous advice? Come on. John Fritze is too nice. This dispute is largely beside the point. Neither Edwards nor Van Hollen have taken significant sums of campaign cash from Wall Street — at least not yet. Both voted in favor of Dodd-Frank. Edwards notes that Van Hollen has declined to swear off future Wall Street cash, but that’s not the same thing as actually taking the money. Might Van Hollen — who describes himself as an “effective” progressive — be a more palatable option to Edwards for some in the financial services industry? Perhaps. Van Hollen would point to a boatload of bills he’s introduced that Wall Street doesn’t like. Edwards would counter that those bills never stood a chance, and so they present little threat to the industry. But it’s just as possible that Wall Street mostly sits this race out. It’s also likely Van Hollen, aware of these attacks, will be careful about taking any checks arriving in the mail from New York. Given Van Hollen’s large advantage in fundraising to date, that may be Edwards’ ultimate goal. Yes, but it’s more than that. My take: Donna Edwards needs to find some way to make her point that doesn’t cast aspersions on the donor, who from all evidence is highlighting juvenile diabetes. A worthy cause. And supporting his preferred candidate. Which is his choice to make. A million years ago (actually, my last blog post there was in April, 2007) I was a pretty regular poster at Daily Kos. I started in the summer of 2004 and had some moderate renown, but eventually left because things got ugly in 2008 and because I had more pressing matters to deal with at home. My last comment there was in 2011. But even as it’s gotten bigger and bigger, and sometimes loonier, I’ve still retained my affection for the place. There’s a lot of great people associated with the orange behemoth, and I made – and retained – some great friendships there, both virtual and carbon-based. One of these days I want to go back and say hi to some of these folks and let them know what I’m up to now. It’s been a long strange trip, without question. Since I left, they’ve developed a great Daily Kos Elections section of the blog, which didn’t exist when I was active, but if it had I would have been right in the thick of it. They report on election-related developments all over the country in all kinds of races, and their coverage is first rate. They’ve even linked to me a time or two, but I don’t think they know I used to be one of them. DK has been a big part of Donna Edwards’ early progressive support. Folks there were enthusiastic and a decent bit of money flowed her way from the site. Just setting the scene. Second, one thing to keep in mind about Kossacks, and again I mean no disrespect. Whatever they think, they think it passionately. Doubt is for sellouts and Republicans. Once a position is taken, that is that and no dissent will be brooked thereafter. It’s both a strength and sometimes a weakness of the place. But while Edwards is faring well in the polls, she’s still trailing badly in fundraising. She managed to raise $638,000 in the just-concluded third quarter, which is better than her prior efforts, but in a troubling sign, she actually spent more ($688,000) than she took in. That’s left her with just $369,000 in the bank; meanwhile, the thriftier Van Hollen raised $950,000 during the same timeframe and increased his available cash from $3.5 million to $4.1 million. Unless Edwards turns things around, Van Hollen will be able to make up his polling gap once the paid media portion of the campaign arrives. Even accepting that some third party groups will spend on Edwards’ behalf, at the rate things are going she’s going to be $5-6 million behind Van Hollen by the time early voting starts in less than six months. That’s going to be hard if not impossible to make up, even with help. And when even your passionate and stalwart friends feel compelled to note this problem now, that’s not good.